I was very lucky to be selected to take part in IDDS Botswana 2016 – an international development design summit – organised by the International Development Innovation Network (IDIN) of D-Lab, MIT. Four intense weeks in D’kar, a settlement in the Kalahari desert, learning about the design process and working alongside incredible people, both local and from all over the world, to develop technologies. A truly world-expanding experience. 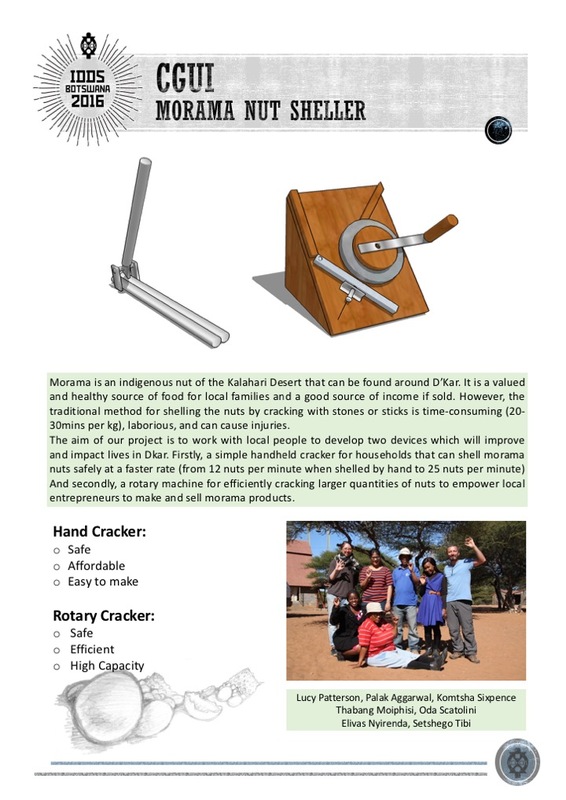 I was part of a team that worked to develop a locally produced nut sheller for cracking Morama (‘Cgui’ in the local Naro language), a very hard nut indigenous to the Kalahari traditionally valued by the local people for its high nutritional content. These nuts are usually roasted then cracked by hand using sticks or stones – a laborious and time-consuming process that often results in injuries. 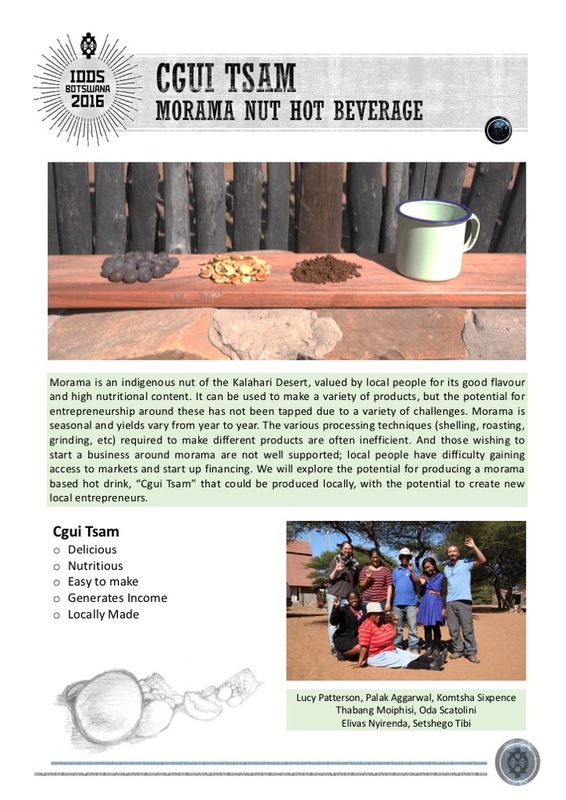 We developed prototypes for both a simple handheld nutcracker for household use and a high-capacity sheller that could be used for producing value-added Morama products – for example a hot drink, ‘Cgui Tsam’ – providing a source of income for local entrepreneurs.